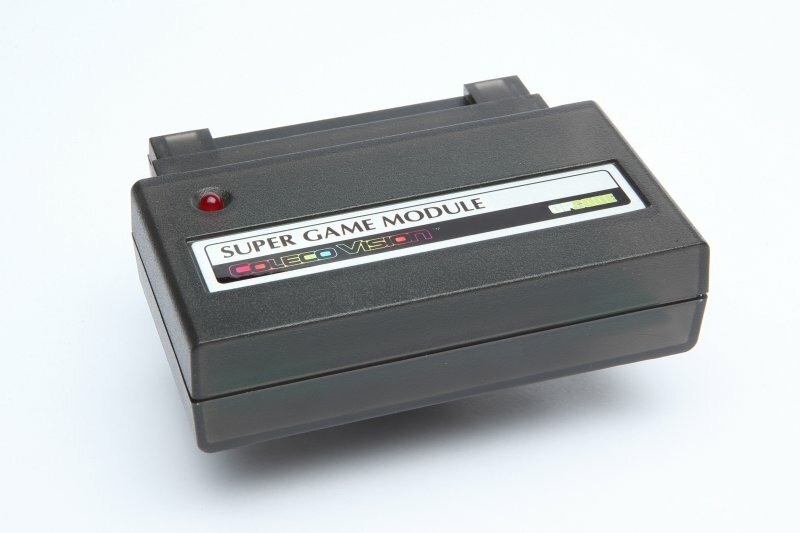 SGM 4th run: after some delays, we are almost ready to the start pre-orders for the 4th run of Super Game Module. Please check your emails this weekend as we will be sending a newsletter announcing when the pre-order is open. Packaging will be the same as the 3rd run, but this time around we will be offering a new case color option. In addition to the regular black case, you will also be able to select “clear black” when pre-ordering. Please stay tuned. UPDATE: Pre-order is now open!! Pac-Man DX and Donkey Kong: we have Pac-Man DX scheduled to release along the SGM 4th run, with Donkey Kong following later this year. As we shared last year, boxes have been already printed, so we are expecting a far shorter turnover this time around. Penguin Adventure: we are investigating the issue a few people are experiencing with the game. It seems the game will reset on a few ColecoVisions, and we have one of those problematic ColecoVisions coming our way. That will make troubleshooting the problem a lot easier, since we couldn’t reproduce the resets with any of our ColecoVisions. We will keep you posted. Project Prometheus: the design for the first Prometheus board is now complete, and next step is to actually build the prototype(s). However we are running short of money, as we must pay for both parts and the development team, and this phase of the project alone should run over $5,000. In order to finance continued development, we will be selling a few limited collector’s edition games during the next couple of months. 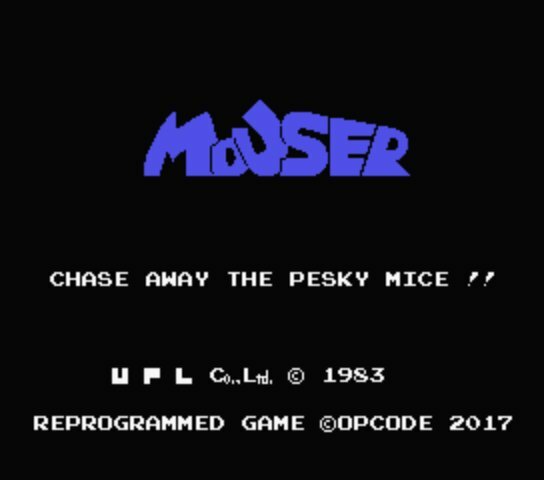 First such game is Mouser, a port of a little known arcade game created by UPL in 1983. Mouser is a platform game similar to Donkey Kong in many ways, where you must rescue your cat girlfriend that has been kidnaped by pesky mice. The game has 3 different screens. Only 10 copies will be made available, each copy will be numbered and come in cartridge format with a nicely designed color label by Grazi. Please contact us if you would like to purchase a copy and help us (info@opcodegames.com). Awesome news, thanks for the update Eduardo. I hope you follow through with the "clear black" option on the SGM fourth run; I remember when you were going to make a "clear" case for the SGM on its first run, only to cancel and later sell off the prototypes. I look forward to pics of the clear black option. I really hope DK makes it out this year and not 2018, its been so long I'd pretty much given up hope of it every showing. I guess I'll have to settle for Pac-Man DX in the interim, I look forward to updates on what's included in this updated version. I knew I liked that woman...and that case looks very nice, just enough to see something inside but not too much. Now if only you could add some LEDs inside the case...no, no, just kidding, you've got enough on your plate. I would think the red LED gives the case a nice glow with it being somewhat translucent. Indeed, the LED gives a nice glow. I will take a picture when I have the chance here. the Mouser is a MSX conversion, in fact,isnt it? It is indeed, I was supposed to have listed that in my original post and for some reason forgot. Thanks for the reminder. So yeah, port of the MSX version, which in turn is a port of the arcade game, thought I made several cosmetic changes to make it look closer to the original arcade, like the title screen. - will the pre-order be done via the Atari Age Store? - Not definite... but assuming Yurkie still doing mods for the CV, I may look into some of those. Are there any to avoid with the SGM (maybe you mentioned those already). Anyways, yes, we should announce the pre-order in just a couple of days. We are aiming for shorter turnover this time, probably around 4 months total (all pre-production is done anyways). 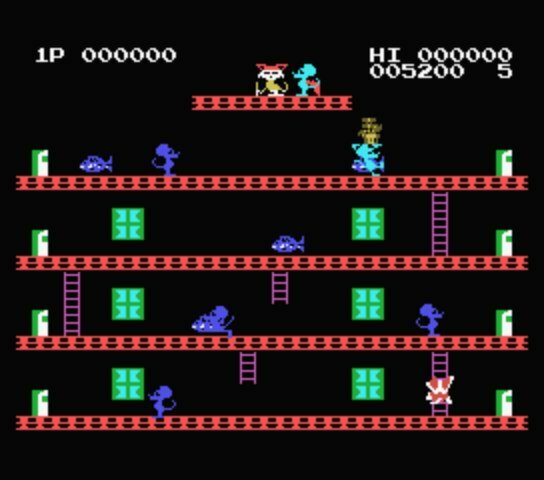 As for the new console, we still have a ton of work ahead of us, games alone should keep me busy for probably a full year, but for now we are still working on the hardware and the focus is still to put some ColecoVision SGM games out, especially Donkey Kong. As for mods, AFAIK the SGM works fine with all Yurkie mods, which also AFAIK has always done a fine job keeping our CVs in top shape (as long as it isn't "red hour', I mean, Friday night). About the new console, what would be the effort to get a multi platform device? Msx, sg1000 and colecovision are very close, and having 3 cartridge slots could be not that difficult. Edited by artrag, Mon May 8, 2017 12:23 AM. Just received the 4th run Pre-order Email and I've already paid for mine! Now I just have to try and wait patiently..... not my best trait. If you haven't received the email yet, you can get your pre order in here. Edited by Jaymiester, Tue May 9, 2017 4:47 PM. Received the email and just pre-orderd. I've been waiting a long time for this. Bring it on! Maybe Antarctic Adventure will return to the Shop ? Well I gave up buying the new Forza3 HotWheels dlc because its a crazy month for me buying lots of retro games. So I went ahead and also pre ordered another SGM, as a backup to my original one,cause ya never know. Not sure if anyone can answer, but i had my ColecoVision modded by Yurkie. He did a RGB mod only. Image is outstanding, but I know the Atari 2600 EM1 will not work with it due to the RGB mod. I was wondering if the SGM will work and output in RGB? Thanks in advance if anyone can answer. SGM only adds RAM and audio - it will work fine. Just to echo 5-11under's comment, it will work. I have both an RGB modded colecovision (from yurkie) and also an F-18A modded colecovision and they both work amazing with the SGM.